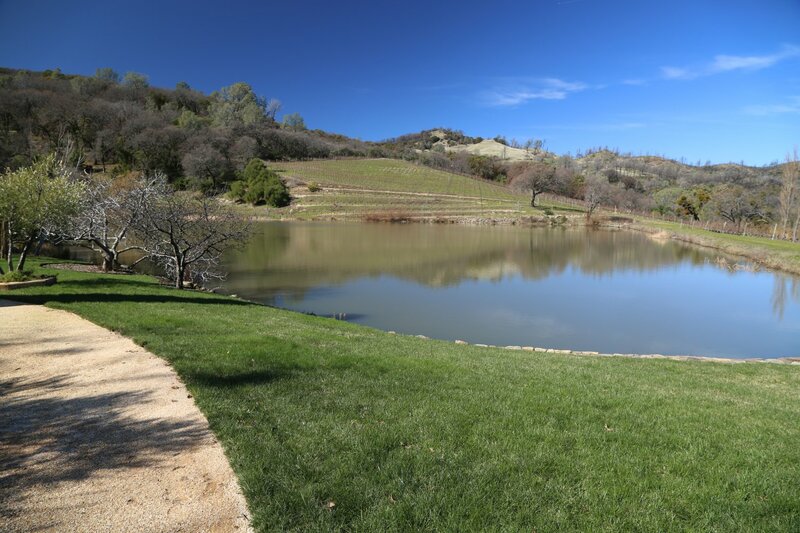 Elan Vineyards is run by the husband wife team of Patrick and Linda Elliot-Smith. Patrick is one of the modern day pioneers of the Atlas Peak Appellation in Napa and in fact was one of the original founders of this AVA. 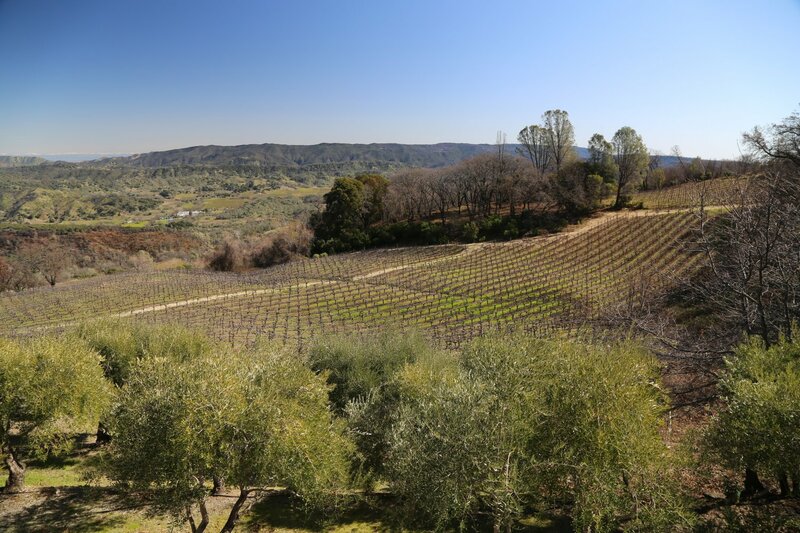 He first moved to Atlas Peak in 1975 and then 4 years later acquired a piece of land that he developed from scratch. Parts of Atlas Peak are extremely rocky and shallow and his parcel is no different (the vines here in a good year produce about 2 tons per acre). While living in a tepee for the first year without electricity he remembers moving rocks easily the size of cars. 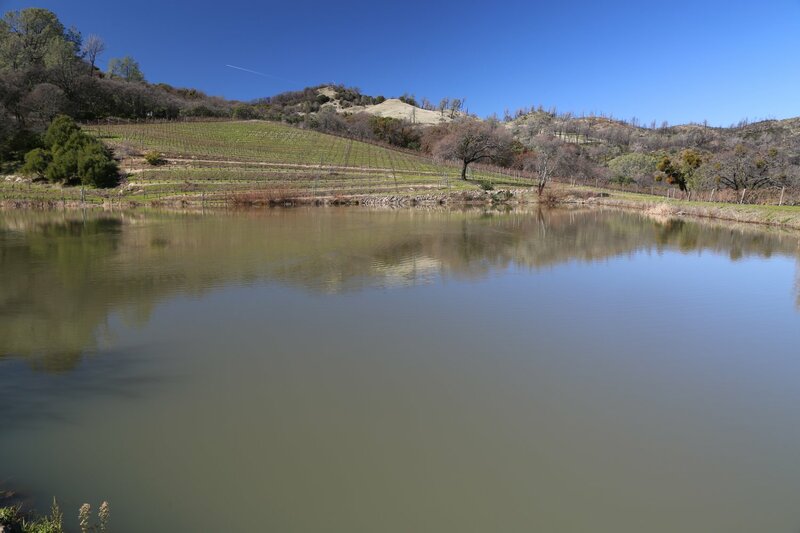 Atlas Peak is a mountain appellation generally characterized by very rocky volcanic soil. Incidentally, it is also one of the few places where from select viewpoints on a very clear day you can see the Sierra Nevada mountains to the east including from the Elan Vineyards property one can easily see numerous Sierra Nevada snow covered peaks in the distance on a clear winter or early Spring day (this distance is about a 3.5 hour drive away). In 1979 he cleared and planted Elan’s first vineyards and has since planted a number of additional acres all growing the primary Bordeaux varietals. Today he farms approximately 13 acres of vines on the 40+ acre site. The property sits at about 2100 feet above sea level and well above the Napa Valley floor. The property typically receives some snow several times each winter. The top of Atlas Peak (2,663 feet) is nearby and can be easily seen from the property with its two antennas on the summit. This is a very temperate growing climate as they are entirely above the fog line and during summer heat spikes, temperatures up here are usually more moderate than up valley. As a result hang time is rather long; the grapes tend to ripen slower. 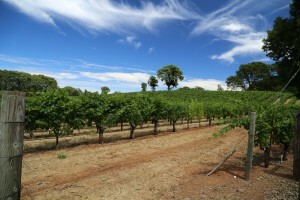 For several years the original vineyard block on the property produced fruit for Caymus Winery. 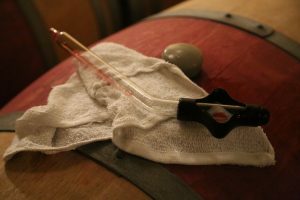 However after tasting a number of their wines with his Atlas Peak grown fruit, Patrick decided to hold back the grapes and make his own wine. Elan’s first vintage was from 1992. 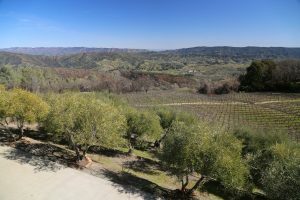 The winery is almost entirely self contained which is convenient based on its somewhat remote location and the fact that Atlas Peak Road becomes very narrow and windy towards the end. 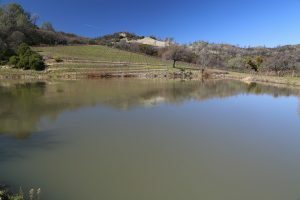 This is one of the finer ‘garagiste’ wineries in the Napa Valley – located directly below their home. The only outside help for their production is a mobile bottling truck and there are only 1 or 2 mobile bottling companies in Napa that will make this drive. 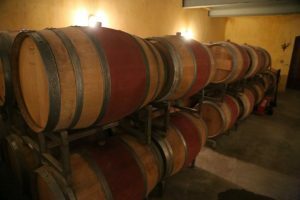 At face value Elan’s wines speak for themselves but just tasting the wine doesn’t tell the story of 40+ years of hard work developing the vineyards and learning the nuances of the various locations on the property. Patrick helped to develop many of the vineyards located within the Atlas Peak appellation as well as beyond. Their vineyards are farmed organically and are certified organic (CCOF). Elan is a big believer in dropping fruit and does so several times at strategic points after blossom up until right before harvest. With very rocky hill side soils they already have low yields, but by removing all but the highest quality fruit their yields are even lower. Elan’s vineyards are very much hand managed by Patrick. He employs the Jules Guyot method of trellising which is uncommon in the valley but common in Bordeaux. This type of trellising is very labor intensive and more complicated than conventional trellising but helps keeps the fruit production low. Essentially one cane is preserved each year (indicated by the more woody/weathered look to the wood) – the shoots or fruiting canes are then allowed to grow. 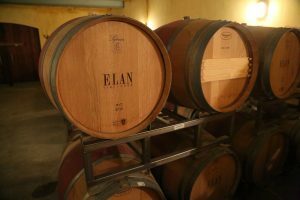 Tasting Elan’s wine’s can be an eye opener if you have a pre-conceived notion that the hillside rocky volcanic soils of Atlas Peak only produce big chewy tannic wines. Initially, in fact Patrick even planted more Merlot vines with the thought of using these for increased blending – to help soften the Cabernet Sauvignon. Their terroir makes this a moot point. Elan’s wines are amazingly elegant, soft, focused and balanced. These are the type of Napa wines we love to drink. The 2006 Proprietary blend incorporates only three of their finest barrels from each vintage (based on blind tasting) and as a result is available in very limited production only to wine club members. After bottling, this wine always ages for at least another year before being released. We tried the ’06 vintage while still in barrel. It was already an elegant wine with a very balanced palate for still being approximately 18 months away from release. The 2005 Cabernet Sauvignon is smooth and seamless from start to finish and is an elegant wine that shows extremely well even without food. In fact this is one of the nicer without food Napa Cabernet Sauvignons we’ve tried. The perfume filling bouquet holds just a hint of vanilla followed by a palate containing concentrated flavors including notes of raspberry and blackberry. The finish is lively and features broad sweet tannins. Elan’s wines tend to age very well and once a year they showcase their older vintages for wine club members only. Every so often a vintage is perfect for letting some of the Cabernet Sauvignon grapes hang on the vine until later in November – and during these select years (only 6 years to date), Elan makes a Cabernet Sauvignon late harvest wine. 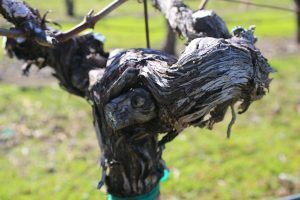 We are aware of only 1 other vintner in the Napa Valley who used to make this type of wine every year and another producer who has only made it within the past few years. Needless to say it is a very rare wine in Napa. The 2006 Elan Vineyards Late Harvest Cabernet Sauvignon is inky dark with a pleasing very aromatic nose. This wine is sweet but not cloyingly so; it shows very ripe dark fruit (blackberry, blueberry), but is not prune like in nature. It is a sweet wine that finds a good balance between sweetness and alcohol. The finish shows good structure and is slightly smoky. This wine is only available to club members. The 2014 Elan Vineyards Late Harvest Cabernet Sauvignon is 18% alcohol by volume and has a residual sugar of 11% by weight. Offers a sweet aroma of fruit yet also shows floral notes. Hints of baking spices and toasted oak. Sweet but not overly so – well-balanced with a finesse between sweetness, flavor and acidity. Flavors of ripe plum and blackberry. No harshness on the finish – lingers with plenty of flavor and hints of chocolate. Let this wine sit out for a few days and it will become better – offering lasting notes of caramel and vanilla on the palate. Patrick’s brother is an artist and his work appears on the label of their Cabernet Sauvignon every year. A number of olive trees are planted on the property and they produce a very limited amount of olive oil. And with over three hundred lavandin plants growing on site, every year they harvest and dry the flowers and put them into small packets, one of which they include with every wine club shipment. Fires on Atlas Peak in October 2017 destroyed numerous homes and one winery on Atlas Peak Road. Elan Vineyards dodged a bullet – the fires raged around their property but miraculously spared their home, winery and vineyards.